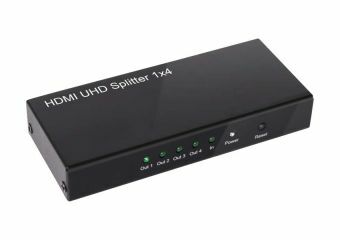 The SenseVision HDMI 2.0 UHD splitter is a high-performance and small-sized HDMI 4K UHD splitter with one input and four outputs. 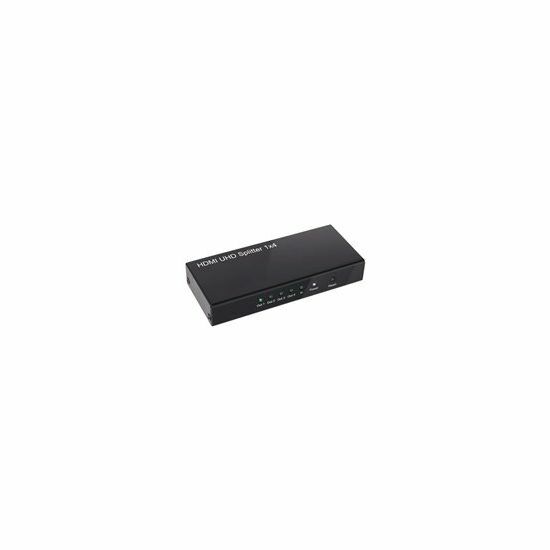 It has a metal casing, which makes it very strong and sturdy. 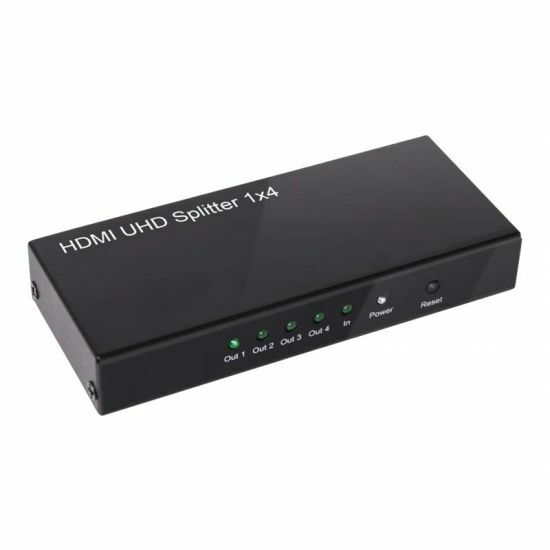 This HDMI 4K UHD splitter routes high-definition video, in resolutions up to 4K, and digital audio from the source input to any of the four connected 4K UHD televisions, monitors or projectors.